(212) 247-4777 Sixth Ave. @ 50th St. 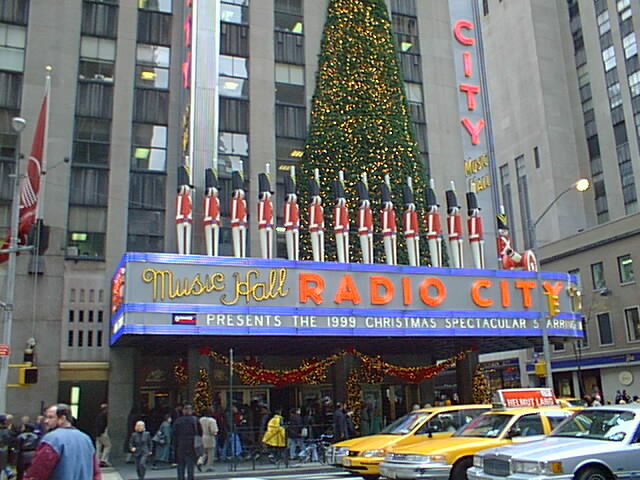 This Art-Deco theater presents musical stage spectaculars with the Rockettes, theatrical productions and live concerts. It has hosted numerous award shows such as: The Academy awards, MTV music awards, fashion awards, etc. It is well noted for it's tremendous acoustics.